The BBC World Service reports on trials in Denmark which appear to link yellow markings on the eyelids or xantheslasmata to an increased risk of heart attack and other illnesses. According to the report a study which was published on the British Medical Journal website, patients with Xanthelasmata were at a 48% higher risk of a heart attack than those who did not have the markings. They were also 39% more likely to develop heart disease and 14% more likely to die. Cardiologists explain that Xanthelasmata, which are mostly made up of cholesterol, could be a sign of other fatty build-ups within the body. A build up of fatty material in the walls of arteries - known as atherosclerosis - leads to stroke and heart attack. The research team at the Herlev Hospital in Denmark started following 12,745 people in the 1970s.Of these 1,872 had a heart attack, 3,699 developed heart disease and 8,507 died in the intervening years. Researchers believe that patients with Xanthelasmata may be more likely to deposit cholesterol around the body. The trials studied subjects from both sexes and several different age groups and results indicate that, in all cases there is a one in five chance of patients with Xanthelasmata developing heart disease in the next decade. The authors concluded that such patients were "generally considered to be at high risk" and should have "lifestyle changes and treatment to reduce [bad] cholesterol." However they warned that: "Today, most people with xanthelasmata are seen by dermatologists, when they want their xanthelasmata removed for cosmetic reasons. "Some of these people may not have been managed according to their increased risk of cardiovascular disease." A recent scientific study shows that people over 60 who are suffering from Type 2 diabetes are over twice as likely to develop Alzheimer’s and other forms of Dementia than people with normal blood sugar levels. The study was carried out by researchers from the Kyushu University in Fukuoka, Japan. Dr Yutaka Kiyohara, who led the team, said the results emphasized the need to consider diabetes as a potential risk factor for dementia. 'Diabetes is a common disorder, and the number of people with it has been growing in recent years all over the world. Controlling diabetes is now more important than ever' he stressed. During the trials 1,017 people over 60 were tested for diabetes and then monitored for an average of 11 years before being tested for dementia. Of the 150 participants with diabetes 20 developed dementia, compared to 51 of the 559 people without the disease who developed it. The study shows that people with diabetes are twice as likely to develop vascular dementia that occurs when blood vessels are damaged and eventually deprive the brain of oxygen. The researchers took into account factors such as high blood pressure, high cholesterol and smoking. The risk of dementia was also higher in those participants who had pre-diabetes, or an impaired glucose tolerance. The risk of developing dementia significantly increased when blood sugar was still high two hours after a meal. The study will be published in the medical journal Neurology today. Diabetes can be triggered by obesity so it makes good sense to keep your weight under control as a means to warding off both diabetes and dementia as you age. According to the RealAge newsletter Age-well.org received this week, over half the cases of Alzheimer’s may be prevented by changes in lifestyle. More research is needed to definitively prove the link between the seven risk factors mentioned below and Alzheimer’s but in the meantime, it can only be good for you to implement these changes as they have other health benefits. But remember forgetting your keys is not the onset of Alzheimer’s but if you no longer know what a key is for, then you are in trouble. Research suggests that there are seven lifestyle changes which could offer protection from the memory-stealing disease. Inactivity is linked to greater Alzheimer's risk, so walk every day. Find out how walking can help you relax while you lower your Alzheimer's risk. People who exercise outside -- versus at the gym or inside the home -- have less depression. And that's good, because there are indications that people who suffer with depression are more at risk of developing Alzheimer's. Walking only twenty minutes a day can help lift your mood and prevent depression. Smoking may make you more at risk of Alzheimer's. Read our page on how to quit smoking and try to avoid passive smoking and smoky areas. A compound in watermelon can help lower your blood pressure by as much as nine points! 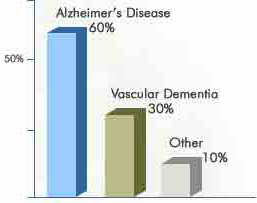 And low blood pressure at middle age may help protect against Alzheimer's. Read our article on reducing blood pressure and follow the DASH diet. Getting enough sleep is necessary to lower your risk of type 2 diabetes. New research shows that developing diabetes also puts you at risk from developing Alzheimer’s later on. Read about diabetes and how to prevent it. Higher education is linked to lower rates of Alzheimer's. Find out how learning a new language affects Alzheimer's potential. Becoming obese at middle age may be connected to higher Alzheimer's risk. Need help getting started? Visit our eat well pages and our diet review pages and read our pages on losing weight. Dr. Marilyn Glenville is one of the references i use when compiling this newsletter. She recommends that women who suffer from depression should get a bone density test because research has linked osteoporosis with this illness. The US National Institute of Mental Health found that 17 per cent of depressed women – compared to just two percent of those we were not suffering from depression – had thinner bones in the hip area. The researchers think that women with depression also have overactive immune systems that can make the body produce chemicals which provoke inflammation and bone loss. No link was found between the anti-depressants that the women in the studies were taking and bone loss. Do you suffer from Sore Gums? Build-up of plaque in the mouth can lead to Inflamed gums so it is important to clean the teeth thoroughly and floss regularly. However, some diet and life-style changes can also help. Eliminate or at least reduce your intake of sugar and refined carbohydrates, which can provide a breeding ground for bacteria. Dr. M G recommends taking vitamin C with bioflavonoids at 1000mg to reduce inflammation and boost the immune system. Co-enzyme Q10 is a powerful antioxidant that can help prevent or heal gum disease. She suggests taking 60-100mg per day. She also suggests piercing a vitamin E capsule twice a week and rubbing the contents on your gums to reduce inflammation and sensitivity. In the UK we are often told that "an apple a day, keeps the doctor away". Research often proves that these “old wives tales” are sound advice and recent studies on this versatile fruit show that it can alleviate allergies and inflammation and help lower the risk of cancer and heart disease,The skin of the apple is where the goodness lies so don't peel your apples but make sure they are thoroughly washed to remove pesticides and if possible buy organic apples. The important nutrient in the skin is quercetin, a flavonoid with powerful anti-oxidant qualities. The insoluble fibre in apples helps combat constipation and lower cholesterol and the pectin they contain is known to reduce the amount of cholesterol produced by the liver. We have reported before in this website about the amazing properties tomatoes have to protect us from sunburn and premature wrinkles. Experts believe they could be a new weapon in the battle against sun damage to the skin. Researchers from the Universities of Manchester and Newcastle who presented their research at the 2010 annual meeting of the British Society of Investigative Dermatology in Oxford found that tomatoes boosted the skin’s ability to guard against harmful ultraviolet rays. This information has recently resurfaced and we are reporting it again because we feel it gives us some useful information about protecting our skin from the adverse effects of the sun. Lycopene in tomatoes is the active ingredient that has the ability to neutralise harmful molecules produced sun-exposed skin.